Hello and welcome to the LSAFIM Blog. My name is Maryalice Spencer and I am the Coordinator for LSAFIM. I have worked for the Little Sisters of the Assumption for more than 20 years in many different capacities. Their passion and mission for the poor, their spirituality and charism have lead me to travel a road I might never have been on had I not met them. I hope to fill you in on many of these experiences as I blog. 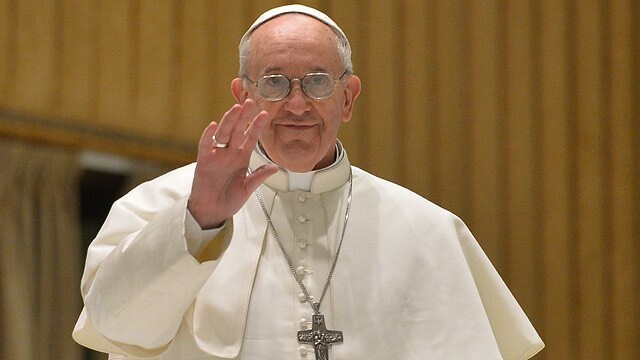 My first blog is about Pope Francis coming to East Harlem. Just to give you a little bit of background – on December 17, 1936 Mario Jose Bergoglio and Regina Maria Sivori’s (Italian immigrants living in the district of Flores, Argentina) first child was born – Jorge Mario. The working family asked for the help of the Little Sisters of the Assumption and Sr. Oliva (a sister from Ireland)gave them the care they needed. The following year a girl was born and they again called on the sisters. This time it was Sister Antonia Ariceta (a sister from Argentina) who cared for them and looked after the mother and two children since Jorge was still very small. Why is this important you ask? Jorge Mario IS Pope Francis and he IS coming to East Harlem! Sr. Susanne Lachapelle, a Little Sister for more than 50 years, serving in East Harlem started a project with the families to write letters to Pope Francis, asking him to drive down 115th Street when he comes to NYC. Not long after the project began, Sr. Susanne was diagnosed with a brain tumor and underwent surgery and a very long rehab! She is back in East Harlem and beginning to work again, just a few days a week. We sent more than 200 letters to Pope Francis, mostly from children and we recently found out he will be visiting Holy Angels school just 3 streets away from the Little Sisters of the Assumption. 5 of the families from Little Sisters of the Assumption Family Health Services have been selected to meet Pope Francis and Sr. Susanne will be introducing the families to him. We still are not sure whether he will drive down 115th street, but we will be ready – dancing shoes on! !